Joey Lieber is a pianist who does a wonderful variety of jazz, broadway, pop, and the classics. It has a French theme, since it is Bastille Day. Keyboard players are a perfect choice for events of all types from corporate and community events, to birthday parties and weddings. They can provide a variety of sounds and styles of music. Electronic keyboards can synthesize unique sounds and multiple instruments, making it a great substitute for a full sized band. Keyboard players can provide a similar service as a piano player, but offer the convenience of portability that you can't get with a baby grand or upright piano. 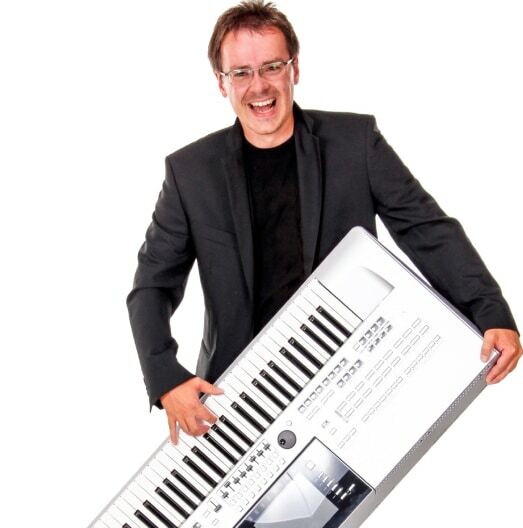 Search for Keyboard Players in Greenwich, Connecticut above. Please note that these Keyboard Players may also travel to Byram, Cos Cob, Riverside, Rye Brook, Old Greenwich, Purchase, Rye, East White Plains, West Harrison, North White Plains, Armonk, Darien, Valhalla, Bayville, Hartsdale, Larchmont, Thornwood, Elmsford, Hawthorne, Elmsford, Rowayton, Locust Valley, Mill Neck, Pleasantville, New Canaan, Ardsley, Bedford, Tuckahoe, Irvington, and Chappaqua.